Returns to Rahal Letterman Lanigan Racing for the first time since his 2012 season with the team. Will drive the No. 30 Honda-Dallara-Firestone entry in his ninth season in the series. Competed for Andretti Autosport where his season highlights include winning the Indianapolis 500 and two pole positions (Detroit Race 2, Pocono). He earned four top-five, and seven top-10 finishes in 17 races to earn a career-best Indy car season -ending rank of eighth place. Compete for A.J. Foyt Racing for the fourth consective season. Finished 17th in season standings with a best finish of fifth at Long Beach and Toronto. Had five top-10 finishes. Finished 14th in series standings in his third season with AJ Foyt Racing with a best finish of second at Belle Isle-2. Had five top-10 finishes and led three races for a total of 46 laps. Finished 18th in point standings in his second season with AJ Foyt Racing. Had five top-10 finishes includeing fourth and sixth place finishes in the final two races. Won pole at St. Petersburg and Belle Isle-2. Led four races for a total of 66 laps. Finished 17th in point standings for AJ Foyt Racing with first Indy car win at Long Beach. Finished second at Sao Paulo, which allowed his to take the points lead for the first time in his career. Won pole at Houston-1. Led a career-best 109 laps at Milwaukee. Finished 14th in point standings in his first season with Rahal Letterman Lanigan Racing and third overall in the series. Recorded two podium finishes (first in career), a second at Edmonton and third in Sao Paulo. Led 31 laps at Indianapolis, but spun trying to pass eventual winner Franchitti on the final lap, relegating him to 17th place. Led five races for a career-best 76 laps. Finished 13th in standings for KV Racing Technology…Earned two poles (Iowa, Edmonton) and a career best finish of fourth place (Mid-Ohio)…Earned three top-five finishes and seven top-10’s in 17 events… Led four races for a total of 61 laps. Finished 21st in standings for KV Racing Technology in his rookie season…Season best start was third at Mid-Ohio and season-best finish was ninth at Edmonton… Progressed to the Firestone Fast Six qualifying round three of nine possible times. Competed in seventh and final Formula 1 season and third with Super Aguri-Honda where he ran four races before the team withdrew from F1 competition… Was the top Honda driver for most of the season. Earned two, top-10 finishes in 17 races with Super Aguri-Honda, his best of sixth place coming at Montreal (Canada)…Finished 17th in championship standings with four points. Moved to the Super Aguri-Honda team where his best finish was 10th place at Interlagos (Brazil) in 18 events. Competed with Lucky Strike BAR-Honda where he earned three, top-10 finishes in 16 races….Best finish of eighth place came at Hungaroring (Hungary)…Finished 23rd in championship with one point…Team was disqualified after finishing fifth in San Marino and forced to sit out next two events. Competed in third F1 season and second at BAR-Honda and had his best season in the series with an eighth place finish in the championship with 34 points… Earned one podium of third place at the USGP in Indianapolis, five top-five finishes and 10 top-10 in 18 races…Earned his best F1 qualifying effort with a front row start in the German Grand Prix at Nurburgring. 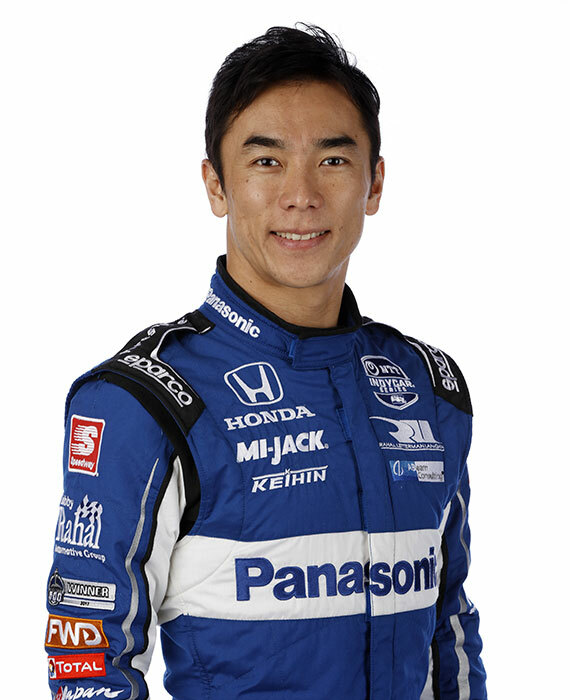 Competed in his second F1 season and first with British American Racing (BAR)-Honda…Served as test driver and third driver for the team and started in one race – Suzuka, Japan – where he finished sixth…Finished 18th in the championship standings with three points and one top-10 finish. Competed in his rookie season of F1 competition with Jordan-Honda...In 17 events, he had one top-five finish of fifth place at Suzuka and earned his first F1 championship points…Finished 15th in the championship with two points. In 24 races for Carlin Motorsport, he earned 12 win, six poles, 17 podiums and won the championship with 345 points…His 16 wins over two seasons is still a record…Won the F3 Macau GP and Marlboro Masters of Formula 1 in Zandvoort. Was the F1 test driver for British American Racing (BAR). In 12 British Formula 3 races he earned four wins, six poles, six podiums and finished third in the championship…He earned one win in two races in Formula 3 France for Carlin Motorsport…Contested the Formula 3 European Cup, Formula 3 Korea Super Prix and Formula 3 Macau Grand Prix for Carlin Motorsport…Contested the Marlboro Masters of Formula 3 in Zandvoort. Competed in first season of automobile racing…Finished sixth with one win and 115 points. Competed in National Class B for Diamond Racing…Ran seven races and finished fourth in championship with 103 Points. Finished second in the championship with three wins and a total of 48 points…Won the Macau Grand Prix support race for AF2000 with Meritus Racing. Moved to Europe and competed in these two series for Diamond Racing. Competed in karting events in native Japan…Won Kanto region karting championship…Won Honda’s Suzuka Racing School class and earned the scholarship prize, a fully-paid drive in 1988 All-Japan Formula 3 Championship. Pre-1996: Competed in bicycle races in native Japan where he won several national junior championships.